The reason I’m doing this review is because like you I was considering purchasing the newly released Minilab MK2. The problem for me and potentially anyone else reading this post is that I already have the previous Minilab model and I love it! When the updated controller was released I was ready to throw all my money at Arturia, but as an owner of almost all the sub $200 Arturia controllers, I had to stop and think about whether it was wise to add yet another MIDI keyboard to my already overcrowded “Studio”. After meditating on it for a while, I decided that at this time I will probably not be upgrading to the newer model. The main reason for me is that I already have the Keystep which as you may or may not know is the more “flexible” big brother to the Minilab and it’s great for on the road production. Although it lacks certain features like pads and MIDI assignable knobs it has a ton of connectivity options and includes an Arpeggiator and Sequencer making it great for Standalone use. The Minilab (unless you’re a super Haxor like me) requires a Computer or Tablet. The good news is that the Keystep is practically the same price as a Minilab and I reviewed it here. Based on some hands on loving in one of the local music stores and checking out some other reviews and imagery on the web I was able to get a good feel for what the Minilab MK2 brings to the table from a design perspective. 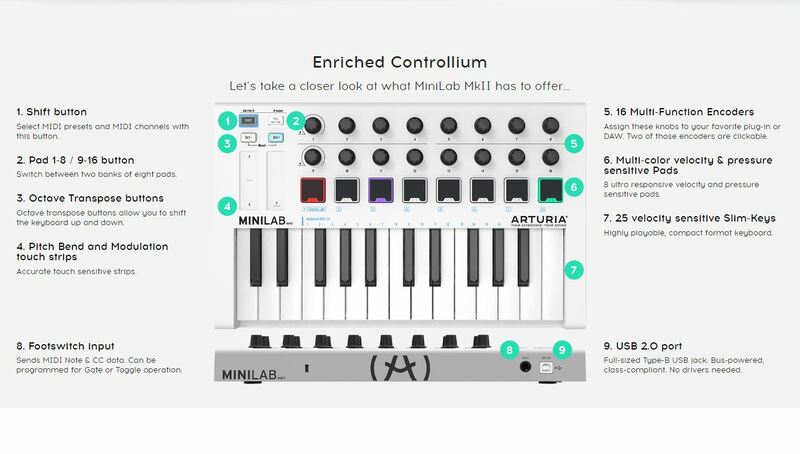 The Minilab was redesigned based on user input from the previous model according to the Arturia website. The most visible change being the redesigned keys and relocation of the now capacitive pitch and mod sliders. In addition to those changes, the pads are now RGB backlit vs the basic red LED backlighting of the original Minilab and 2 of the 16 encoders are now clickable. The build quality of Arturia’s products is always top notch so I would have been surprised if the MK2 was not as sturdy as its predecessor. Unsurprisingly it is, which is a good thing! Along with this Sturdiness is an increase in weight and almost all dimensions except for width which has been decreased by about two-thirds of an inch. The wooden style panels have been reduced and are now inlaid into the sides of the Minilab. When looking down at the MK2 it has a more organized layout compared to the previous model. There are now two distinct sections. The upper half contains all the knobs, pads and sound manipulating controls while the lower half contains the keys. I like the minimalistic look of the new unit but with so much more visible plastic it now looks a lot less unique than its predecessor. Below you can see a comparison between the two units as shown on their respective pages on the Arturia website. The Minilab units normally ship with a nice software bundle which includes Analog Lab and Ableton Lite for the older model and Analog Lab Lite, Ableton Live Lite and UVI Grand Piano for the MK2. 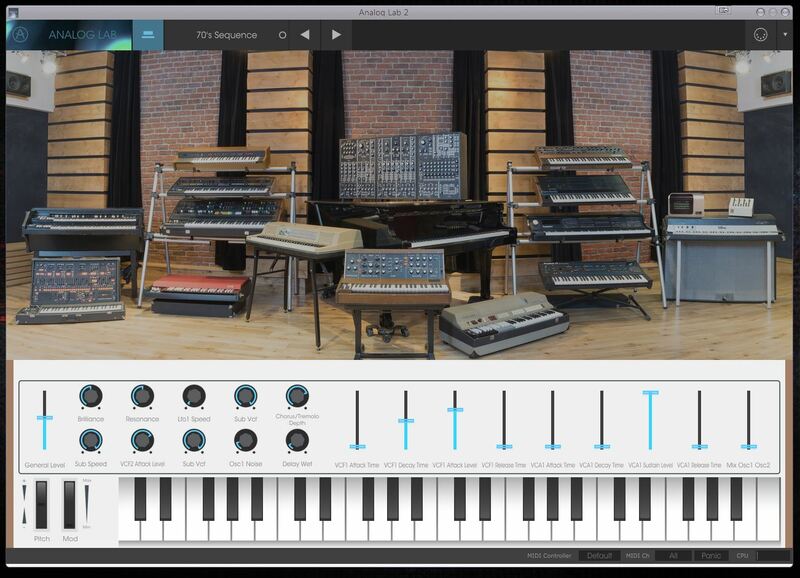 I think that the addition of the UVI Grand Piano is welcomed, although I’m not sure why Arturia did not use one of their amazing synths like the Oberheim SEM V which is included with the Minilab Black Edition or their own Piano V. I’m sure it’s a money issue but they could have probably released an upgradeable “Lite” version similar to what they are doing with Analog Lab. Since we’re on the topic of neutered software you may be wondering what the difference is between Analog Lab and it’s Lite counterpart. Well, the good news is not that much except and this is a big one…. they’ve removed 90% of the presets. This means that Analog Lab has 5000 presets while Analog Lab Lite has 500. I’m going to be honest, as an owner of AL I’ve never scratched the surface of all the included presets. That being said, It’s a little hard to pay money for something that you know is only 10% of what it used to be, especially when you can still find 1st Gen Minilabs on the market. At the end of the day, Arturia is a business and businesses need to stay profitable, so I can see why they are making certain moves with their products. If the Minilab was more expensive I would complain but I doubt most people that purchase this unit will be using solely AL as their instrument of choice. 4 different units including the full V Collection software synth suite and I love all of them. The Minilab MKII will not be a contender as long as the original Minilab remains on the market. Within a few months, though when the older model is completely sold out I think the MKII will claim its rightful place as one of the most affordable full-featured controllers on the market. Until then I recommend that you go out and search for a Minilab or Minilab Black Edition. If you already own one I would say stick with it. 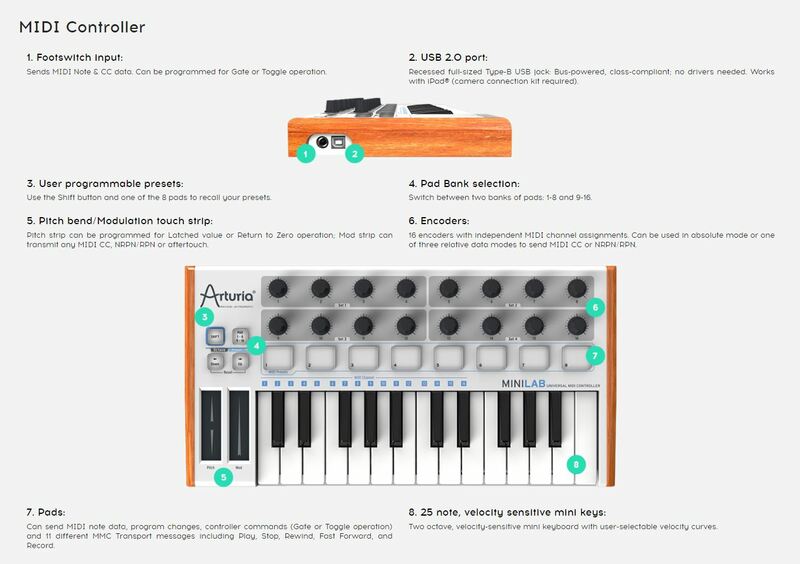 Unfortunately for Arturia, their products are built very well, so by the time you need to upgrade they may very well be selling the MKIV model. I think that I will eventually purchase the MKII just because it’s so inexpensive, but I’m more than happy knowing that I don’t have to! Behringer CMD PL-1, Oldie But Goodie? Echo Dot 2 | Alexa On the Cheap !